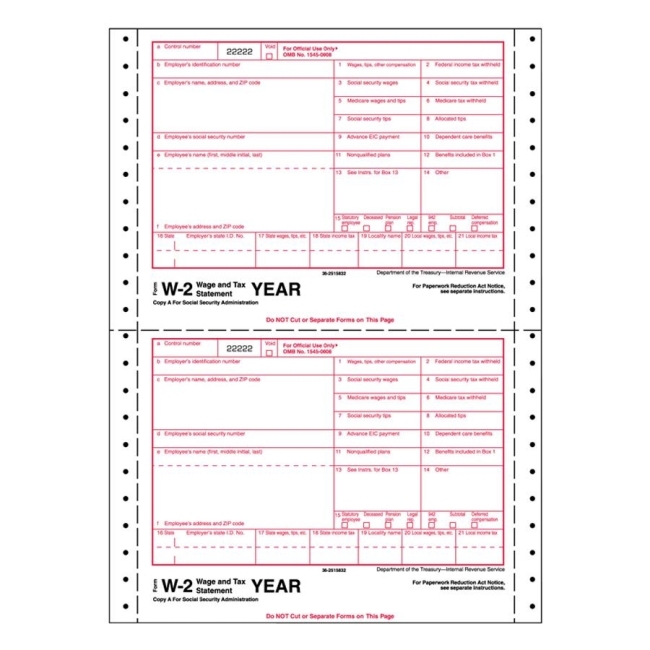 Carbon less W-2 tax form is designed to report wages and deductions to Social Security Administration. Meet IRS specifications. 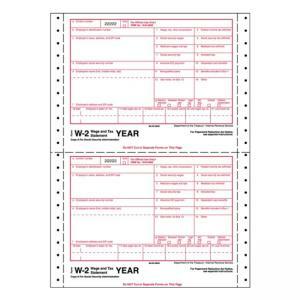 Each set of forms includes a W-3 Transmittal of Income Wage and Tax Statement Form.